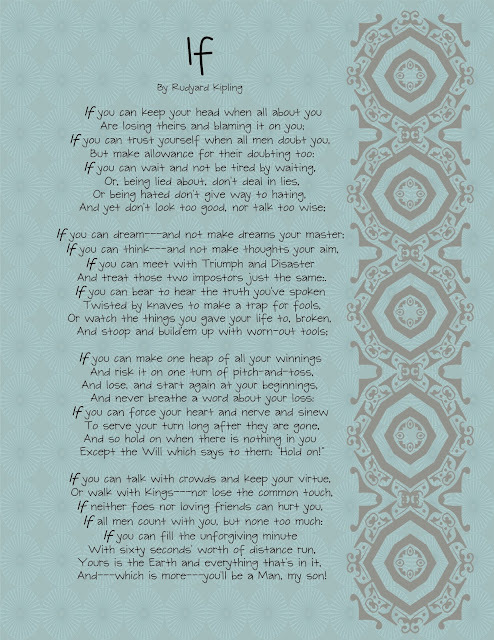 Many, many years ago, I think I was in jr. high actually, I had to memorize a poem - "If" by Rudyard Kipling. I loved it from the moment I first read it. So I painstakingly worked and worked at memorizing this very long poem. I have vivid memories of repeating it over and over to my mom trying to get it all in the right order. And though I can't remember it all word for word now, the message has stuck with me. Fast forward 20 years and when in 8th grade Cheyenne needed a good poem to memorize, I suggested "If" to her, too. She did the same thing, worked and worked at memorizing it and now she loves it, too. So a couple weeks ago when Natalie needed to memorize a poem (love that 8th grade English,) Cheyenne and I both suggested "If", and she memorized it, too. I decided I needed this posted somewhere since it's such a good reminder of how I want to live and how I want my children to live. So I made a printable and I'll share it with you, too. 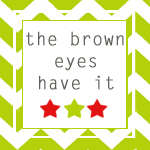 Thank you so much to Persnickety Prints for the great background and border. A couple days after I made this and Natalie presented it to her class, she then tells me she had to take something for a prop/display. I told her I had made this and if she'd just told me, she could have taken it. Instead she took a few different varieties of the Met Life stuffed Snoopy's (taking the "If" out of life.) lol Thanks to Uncle Luke for providing a great prop! Do you have a favorite poem? Do you remember any of those you memorized in school? I'd love to hear about it. I've just printed out the poem for my son's room, Kimberly. Oh awesome. 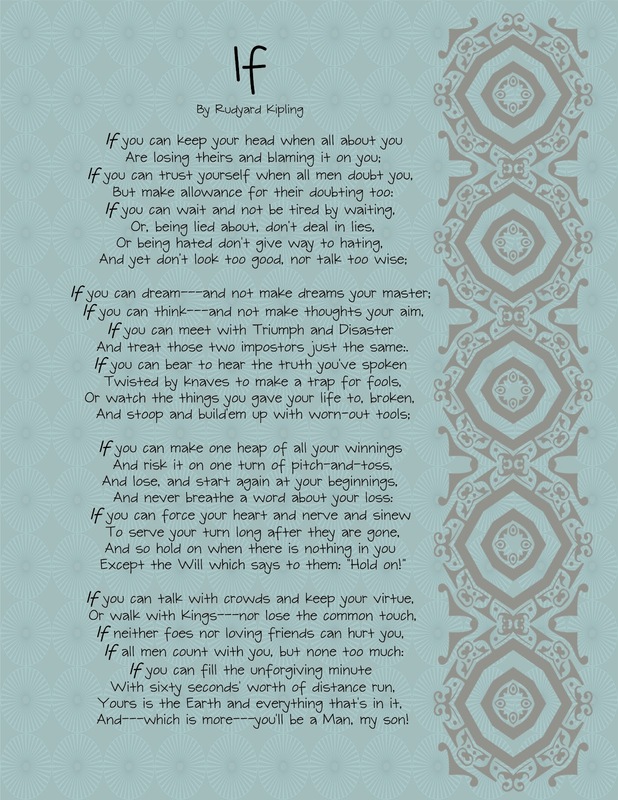 This is my husband's favourite poem - I am definitely printing this out. THanks for sharing at our party this week. I had never heard that, it's great! No wonder you love it! Thank you for that! This is a great poem. I've never read it before now. Thanks for sharing at Terrific Tuesdays. Love it and remember it from my days at school! I went to the same school as Seamus Heaney, not at the same time, and Mid Term Break stands out as I learned it in the self same place he wrote about. I also love Desiderata-which, if you like If, you will definitely love!